Target Date Funds-A No Brainer? You are here: Home / Target Date Funds / Target Date Funds-A No Brainer? In my opinion, no such investment exists. I’m not knocking TDFs. Rather 401(k) participants need to understand what they are investing in and whether or not these TDFs are right for their unique situation. Is the fund nearest their probable retirement date too heavy or too light on equities for their goals and risk tolerance? Further, 401(k) plan sponsors also need to perform their due diligence. Just because their plan is with the likes of Fidelity, Principal, or the American Funds doesn’t mean that any of these provider’s TDFs are right for their participants. It is incumbent upon plan sponsors to “look under the hood” of these funds. What are the fund’s underlying investments? Are they too heavy or too light in equities in the various target years? What does each group’s glide path into retirement look like? Do their participants tend to leave their money in the plan at retirement or do they tend to roll their money out of the plan? Plan sponsors need to perform the same level of due diligence with the selection of TDFs as they would with any other investment choice. JP Morgan has a tool called Compass that compares the makeup of various near-dated TDFs (currently the 2010 funds). The range in equities among the 40 funds shown in the JP Morgan analysis was from about 20% to almost 75%. The recent Congressional hearings on TDFs illustrated that two funds with the same target date might have radically different investment allocations and levels of risk. My bias would be for plan sponsors to offer their participants access to qualified unconflicted advisors. 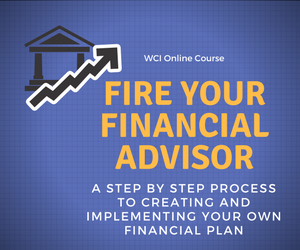 These advisors are able to offer each participant specific advice as to how to allocate their accounts from among the investment options offered by the plan. Perhaps the recently passed Financial Reform Bill and the pending Advice Provisions of the Pension Protection Act (PPA) will help plans to move in this direction. Participant education is fine, but plan participants are better served by direct, live investment and retirement planning advice. Roger, I see two main issues with TDF’s: first, not all TDF’s are built the same. Virtually all of the large, retail-oriented fund families have them now, and after reviewing many of them, it is clear that they are NOT all the same (asset allocation, asset classes included, etc.). It’s important to know what you are getting. Second, though it is just my opinion (and investment style), I believe many TDF’s are far too risky for the specific target date. I think they can be a reasonable option for an investor when first opening their accounts, I think once they have material amounts of money invested, TDF’s are inadequate tools in general (though I have to admit they are better options than what I see some plan participants do to themselves when left to their own devices). And finally, I must agree that access to 3rd party (neutral) advice would go a LONG way in helping participants. Robert thanks for your comment and I think that your thoughts are right on the money. In the context of a 401(k) plan, participants generally only have one family of TDFs from which to choose. However many TDFs are available outside of qualified plans, many fund firms are really marketing them to IRA account holders. Here the lack of “truth in advertising” among the vast differences in TDFs with the same target date can really come into play. I fully concur that I like TDFs far more for younger investors who are just starting out, perhaps their 401(k) is their first and only investment vehicle. The longer dated funds are generally heavily allocated to stocks which makes sense in that situation. For folks closer to retirement TDFs do not do the trick in my opinion either. They need guidance as many of these folks have substantial assets aside from their 401(k) if only due to having left a trail of old 401(k)s and/or IRAs from prior employers.